One of the most enduring pop bands to emerge from the ’70s, English rockers Badfinger, whose classic lineup featured Pete Ham (lead vocals, guitar), Joey Molland (guitar, vocals), Mike Gibbins (drums) and Tom Evans (bass), rose to international stardom, releasing a string of hit records that have become rock ‘n’ roll classics. 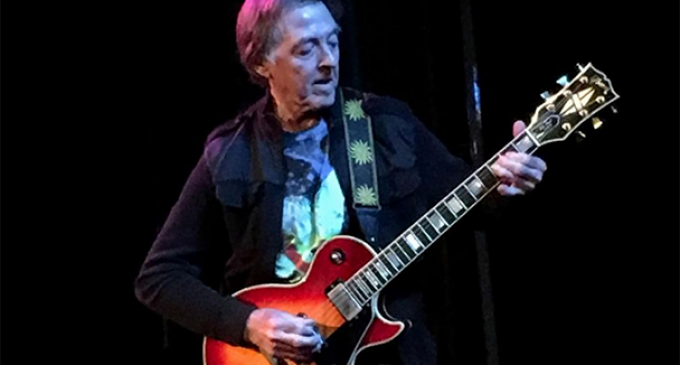 More than 40 years later, Badfinger guitarist Joey Molland is keeping the legacy alive. “I’m doing really great,” says Molland from his home in Minnesota. “I’ve been travelling and doing a lot of shows that have done well. We are getting standing ovations every night. Signed by The Beatles’ Apple Records, Badfinger enjoyed massive international commercial success thanks to their hit singles “Come and Get It,” “Day After Day,” “No Matter What” and “Baby Blue.” Their song “Without You” became a smash hit for both Harry Nilsson and Mariah Carey. “We always tried to put our best foot forward,” says Molland. “We really worked hard on our songs. We didn’t write them for the sake of making hit records. We wrote songs that came to us from ideas that we got. We put everything we had into those records and recorded them as a band. “Paul McCartney wrote ‘Come and Get It’ for Ringo,” adds Molland. “The form of the song and the sound of the record were really good. At the time we had a difficult time with it because we thought it was a bit sweet back in the day. It’s a very happy song. Of course, we wanted to be a rock band. The song has always gone down well, and the crowds at our shows always love to hear it, so we play it every night now. I actually didn’t play on this record, but I am blessed to play it every night at our shows. The friendship and creative synergy Molland and his band mates enjoyed with The Beatles found Badfinger appearing on Lennon’s “Imagine” album, Starr’s hit single “It Don’t Come Easy” and Harrison’s “All Things Must Pass” album. They also backed up Harrison, Starr and Dylan at the Concert for Bangladesh. Badfinger’s success was ultimately overshadowed by tragedy. On the morning of April 24, 1975, co-founding front man and principal songwriter Pete Ham hung himself. Less than a decade later, fellow band member Tom Evans also committed suicide by hanging. 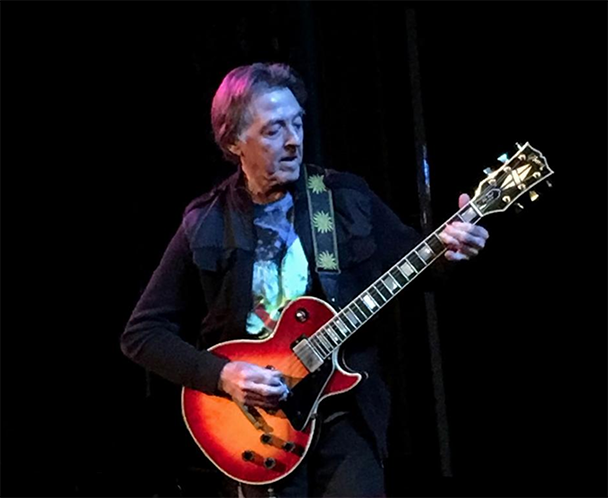 Badfinger songs have been used in the TV programs “Breaking Bad” and “The O.C.,” as well as the films “The Departed” and “Whiskey Tango Foxtrot,” introducing new generations of fans to the band. “We really enjoyed playing and really enjoyed the way each other played on each other’s songs,” recalls Molland. “We were willing to make whatever changes musically to make the band better. I do think we would have gone on and had a great career.